Most of the places we were able to check out came from tips after talking with the locals. We stayed in Miramar, outside of Old San Juan, at a spectacular hotel called Ciqala Suites, where the employees were incredibly helpful. This second oldest neighborhood in the area, Miramar offers a look into the real lives of the people. Just down the street from our hotel was a great, local coffee and sandwich shop called Macchiato. The owner was so welcoming and the handmade sandwiches were delicious. He told us where to find the best salsa dancing at La Placita. Across the street from our hotel, we enjoyed La Jaquita Baya, a casual restaurant where the chef focuses on local cooking and reviving forgotten dishes from Puerto Rican cuisine. 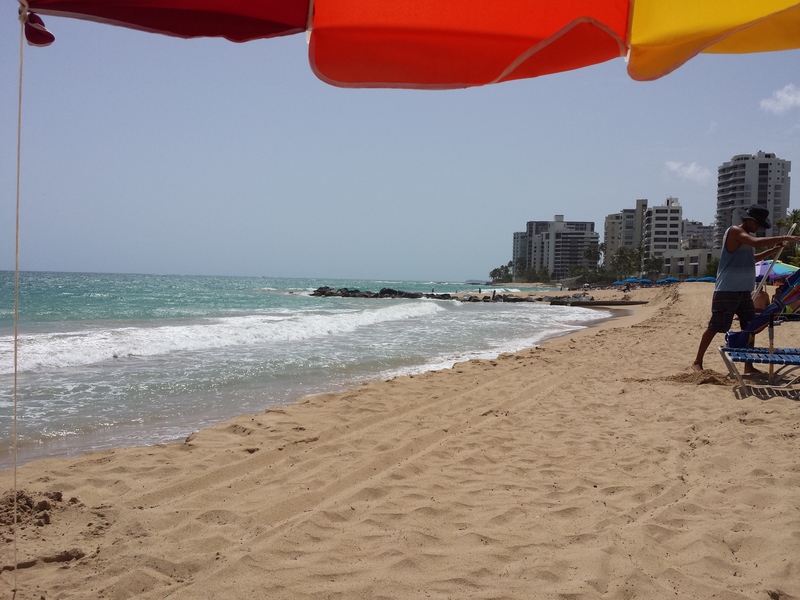 The nearby beach, Condado, is a great spot to sit and relax. Eric, one of the vendors who rents beach chairs and umbrellas, could not have been nicer or more accommodating. He gave us some great tips for lunch on both days we were on the beach, including a place called Orozco. The Cuban sandwiches there are delicious. For dinner one night, we went to Pizza e Birra after a tip from the cab driver we used for the majority of our trip. His name was Carlos and he told us all about what it is like to live in San Juan today with the hardships of the economy and the severe drought affecting the island. I feel that if we had not met him, we wouldn’t have seen the real Puerto Rico. Seeing it from a local’s point of view makes me respect the island that much more. We also checked out La Placita, a place where on Friday and Saturday nights locals go to cut lose, dance, drink and have a great time. Bands were on almost every corner and people were dancing in the streets. Right near La Placita is one of the best restaurants in San Juan called Jose Enrique. The fresh-from-the-market, ever-changing menu has delicious food and the place has a great atmosphere. Just make sure to get there early and be prepared to wait for a table. 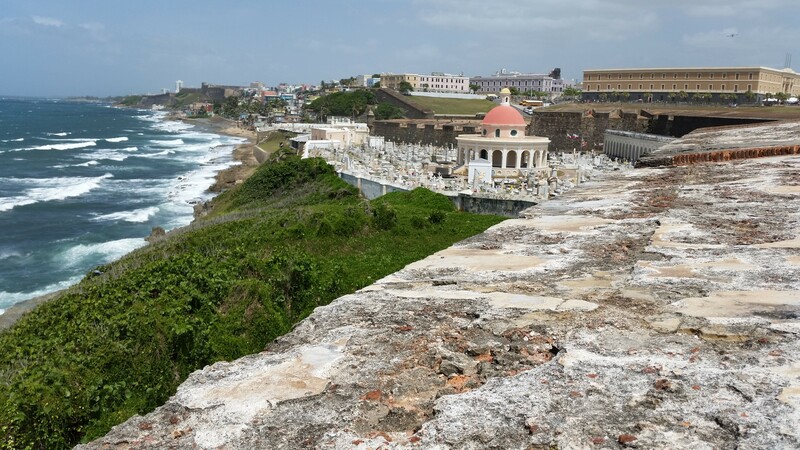 Old San Juan also has some great local places to enjoy like El Jibarito and El Patio de Sam, but the best parts are the sights and the history. Even the locals come out to enjoy the strong winds at El Morro to fly kites and have a picnic on the grassy hill. 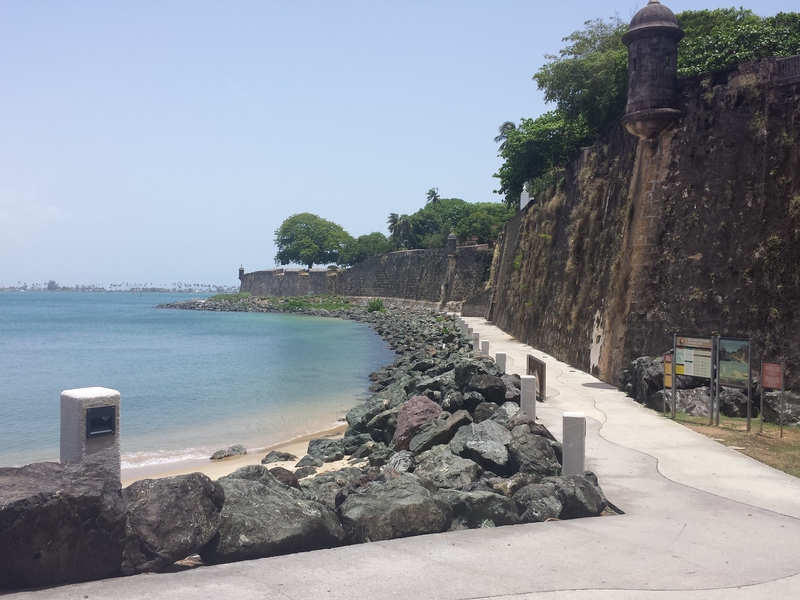 Puerto Rico is called the Island of Enchantment and it certainly lives up to its name. I would love to go back and see the rest of the island. I am sure it is just as amazing as San Juan.